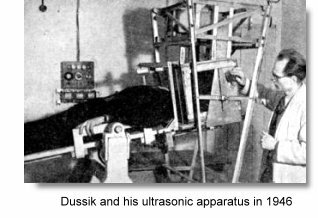 Ultrasound safety has largely been considered a non issue since its inception in the 1950's because there have been no known cases of ill effects on someones health. it started to become common in the 1970's. Breast ultrasound has been detecting tumors and saving lives for several decades and transvaginal ultrasound has been extremely effective in women's health. Baby ultrasound pictures have been useful in monitoring baby's growth and development. However, in 1993 the government regulations relaxed the exposure limits eight fold in obstetrics from 94 to 720 milliwatts per centimeter. What is ultrasound? The FDA was persuaded that technicians needed greater latitude in certain emergency situations considered life and death concerning blood flows and heart attacks. The new data on exposure are still being collected. Tests have been performed on Guinea pig fetuses and a 7 to 8 degree increases have been recorded. The same increase was noted in mice. While raising the allowable exposure limits in 1993, the FDA began requiring manufacturers to add a couple of indexes to their on screen data for safety. One measures heating of bone and tissue,and the other is to monitor the mechanical effects of gas bubbles on tissue and increased flows of fluids. Also see amniotic fluid Baby ultrasounds that have been performed in humans have not shown a difference in temperature, leading researchers to conclude that humans have a better physiology that does not get affected. At least three studies have noted that boys have a higher degree of left-handedness. No one knows why. That is the state of ultrasound safety. How do you prepare for an exam?